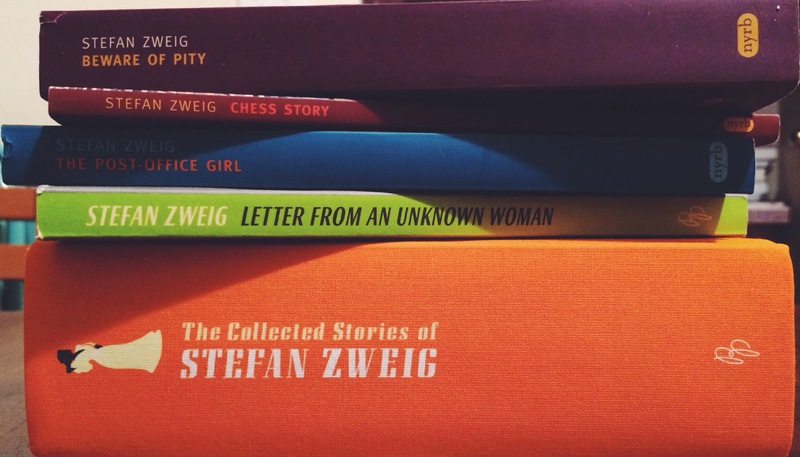 Wes Anderson, Stefan Zweig, and their sumptuous surroundings. Looking at this year’s Academy Award nominees for Best Adapted Screenplay, Bill Morris at The Millions grumbled that “Hollywood screenwriters need to mix more fiction into their diet.” He can at least give a pass to Wes Anderson, whose new film, The Grand Budapest Hotel, is based not just on one novel but on an entire oeuvre—that of Stefan Zweig, an Austrian writer whose work Anderson has helped revive. In fact, Zweig’s influence on Anderson is so profound that the filmmaker compiled The Society of the Crossed Keys, a new anthology of Zweig’s work. Unfortunately, the collection is only available in the UK, but its constituents—Zweig’s memoir, the novel Beware of Pity, and the novella “Twenty-Four Hours in the Life of a Woman”—can be found separately in the US. For starters, consider their fastidious preoccupation with appearance. In an essay examining The Royal Tenenbaums against J. D. Salinger—another of Anderson’s literary influences—Matt Zoller Seitz established a concept called “material synecdoche—showcasing objects, locations, or articles of clothing that define whole personalities, relationships, or conflicts.” Anderson uses his meticulously designed mise-en-scène as visual shorthand for his characters. It’s how we understand the Tenenbaums from their wardrobe, their childhood bedrooms, and the way the opening scene itemizes the things in those rooms. It’s one of Anderson’s favorite storytelling mechanisms—think of Moonrise Kingdom, in which Sam Shakusky’s raccoon hat and glasses set him apart from the rest of the Khaki Scouts; think of Max Fischer’s red beret in Rushmore. In Anderson’s work, the exterior reliably informs the interior. For the instant he stood up from the chessboard, where he was without peer, Czentovic became an irredeemably grotesque, almost comic figure; despite his solemn black suit, his splendid cravat with its somewhat showy pearl stickpin, and his painstakingly manicured fingernails, his behavior and manners remained those of the simple country boy who had once swept out the parson’s room in the village. Zweig uses the man’s apparel as a point of entry—every article of Czentovic’s clothing is cataloged, and as the items pile up, we see that they’re larded with an assessment of his character. First she cautiously tries out the bed: will it really be all right to sleep there, on that effulgence of cool white? And the flowered silk duvet, spread out like down, light and pillowy to the touch. A push button turns on the lamp, filling every corner with its rosy glow. Discovery upon discovery: the washbasin, white and shiny as a seashell with nickel-plated fixtures, the armchairs, soft and deep and so enveloping that it takes effort to get up again, the polished hardwood of the furniture, harmonizing with the spring-green wallpaper, and here on the table to welcome her a vibrant variegated carnation in a long-stem vase, like a colorful salute from a crystal trumpet. How unbelievably, wonderfully grand! It’s Christine’s sense of wonder and naiveté to the bourgeois lifestyle that establishes her character. And that’s just her room—the novel devotes many pages to chronicling the hotel’s extravagance. Post-Office Girl is full of these precise details, itemized in language as lavish and colorful as the things it describes. Anderson has a similar fixation on privilege, especially as its seen through the eyes of the less privileged—Max from Rushmore; Zero, the bellboy who works under M. Gustave in The Grand Budapest Hotel; and, in some ways, Ned Plimpton in The Life Aquatic. Such outsiders serve a useful purpose: they allow the audience to share in a material fascination with the worlds Anderson has created. Naturally, this mutual obsession with material wealth leaves Anderson and Zweig vulnerable to the same criticisms. At n+1, Christian Lorentzen has criticized Anderson’s reliance on “sets, costumes, characters, and neato conceits” over the felicities of plot. On Zweig’s end, Joan Acocella’s introduction to Beware of Pity notes that the author often drew fault when he tended toward “clanking narrative devices” and the “plump, upholstered quality to some of his writing.” And yet, as apposite as they are, these complaints feel small, even if the three brothers in The Darjeeling Limited carry literal baggage, and quite immaculately designed baggage, at that. When it comes to narrative, Anderson and Zweig prefer to let their lavish, intricate microcosms do the heavy lifting. But this is where they diverge: Anderson’s worlds are imagined; Zweig’s are real, and deeply remembered. Perhaps this is why so many Anderson films come with frame stories. Since they’re contained in books or recounted by storytellers at a far remove from the action, the viewer can see that these are worlds Anderson has created, not attempts at realism. And he’s careful to set his films in openly imaginary locations. The Grand Budapest Hotel takes place in the fictitious Republic of Zubrowka; Moonrise Kingdom invented the New England island of New Penzance. The oceans of The Life Aquatic are filled with exotic, imaginary sea life; The Royal Tenenbaums takes place in an alterna-New York where everything is lettered in Futura. In a Wall Street Journal piece, Anderson admitted that he struggled to find a real-life location to film The Grand Budapest Hotel. He looked at old hotels in Austria, Hungary, the Czech Republic, and Poland before discovering the right set in Görlitz, Germany. In fact, the building ended up being an unoccupied department store, not a hotel. In many ways, Anderson’s films concede the same thing. The worlds he builds are depicted through outlandish rose-colored lenses. In his introduction to The Wes Anderson Collection, Michael Chabon notes that Anderson’s universe is “a scale model of that mysterious original [world], unbroken, half-remembered.” He also sets his films in liminal spaces: a room at the Grand Budapest or Hotel Chevalier, a sleeper cabin on the Darjeeling Limited, a voyage aboard the Belafonte. These are transitional places, as if Anderson is acknowledging that their luxury is similarly temporary—or fabricated. But if Anderson likes to invent and inhabit bygone worlds, Zweig actually lived in them, and the sense of loss is more acutely felt in his work. He wrote the aforementioned memoir, The World of Yesterday, while living in exile in Brazil; it’s both a nostalgic portrait of prewar Europe and a lament for its obsolescence. Ten days after turning in the manuscript for the book, Zweig and his wife overdosed on barbiturates in what appeared to be a suicide pact. Zweig longed for the world that had passed him by, one he knew could not return—one he perhaps remembered too fondly. Kevin Nguyen is a founding editor at The Bygone Bureau, a contributor to Grantland, and an editor at Amazon Books.